A Baking Adventure: No Frosting? No Problem! Have you ever found yourself wanting cupcakes when all the bakeries were closed? You have all the ingredients in the pantry for cake (or in my case, a box mix), but nothing for frosting? I know I’ve been in this situation. I was pregnant, craving yellow cake, and NOTHING could get my mind off of it until I had it. So I baked 2 dozen vanilla cupcakes, even with no frosting, or frosting ingredients, in the house. 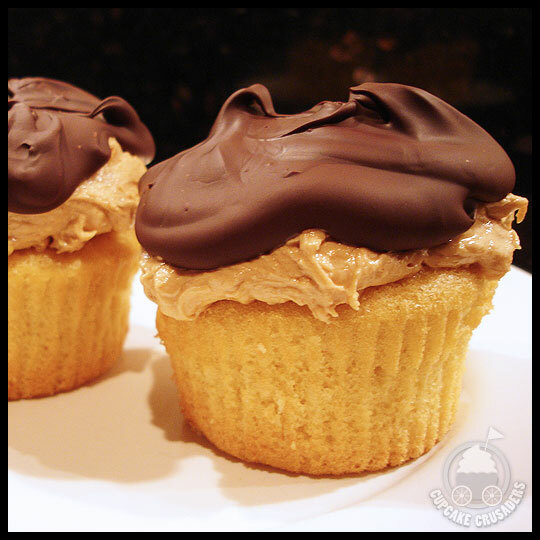 After the cupcakes came out of the oven and I devoured one (or maybe two…) with no toppings, I browsed the fridge and freezer to find creative frosting options I could use throughout the week. I had fresh strawberries and was lucky to find Cool Whip in the freezer (actually, I pretty sure I always have Cool Whip in the freezer). 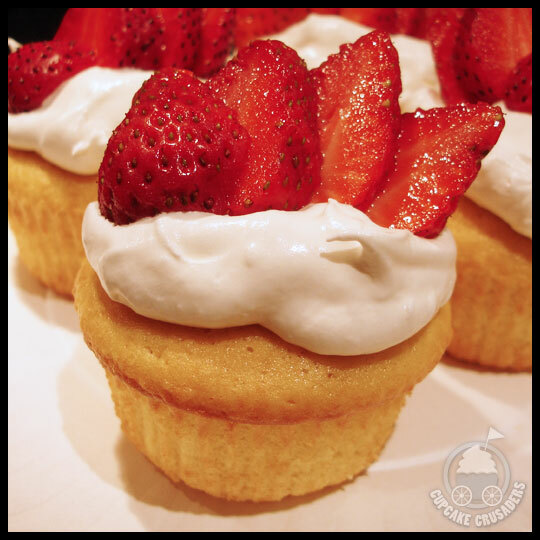 It was perfect for a strawberry shortcake cupcake! The next night I decided to take it to the next level. 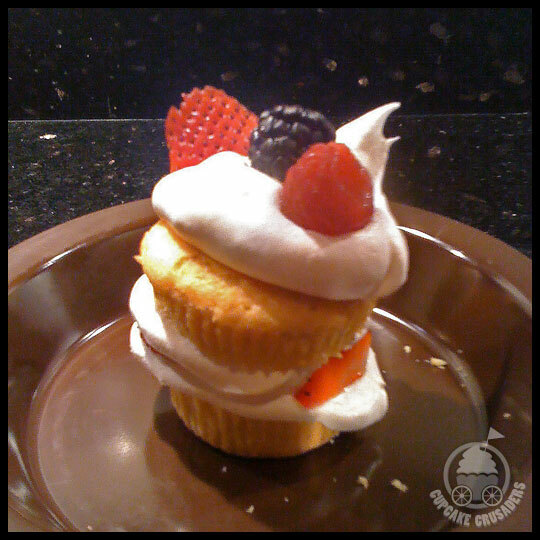 I got fancy and layered the cupcake with whipped cream, mixed berries, and cake. Messy to eat, but oh so good! Being pregnant, I of course craved ice cream at some point, so I cut the top off of a cupcake, creating a little “cake bowl.” What you do with the top is up to you. I managed to save it for photos (how I resisted is still a mystery! ), but no one here will judge if you eat it as soon as it’s cut off the cupcake. Lastly, one night I was craving chocolate and peanut butter. I attempted to make frosting by mixing peanut butter with Marshmallow Fluff, but it still stayed fairly dense. That’s okay, it was still delicious! I also melted semi-sweet chocolate chips and spooned it on top. 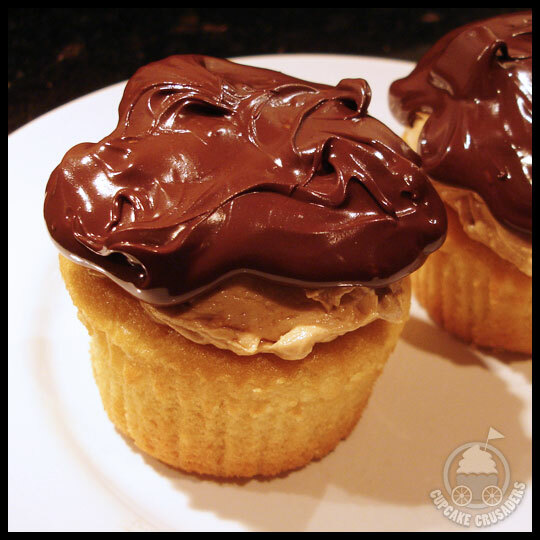 At the time I wanted the chocolate to harden to create a “shell,” so I chilled the cupcakes for a little while. Looking back I think the melted chocolate would have been amazing too! The great thing about leaving the cupcakes “naked” after baking them was that I was able to tailor each to my cravings and got a lot of variety. I’m not one to run out every time I’m craving something I don’t have. Instead, I use what I do have to recreate my craving or act as a substitute. So, the next time you think, “I need a cupcake!” but don’t have all of the obvious ingredients, think about us and get creative! Do you have any frosting alternatives that you like to use? Let us know! This entry was posted in Baking, Cupcakes and tagged Baking, berries, Chocolate, cool whip, cupcakes, Ice Cream, peanut butter, strawberries, strawberry, strawberry shortcake, whipped cream by Crusader Jenn. Bookmark the permalink. That’s a great idea! I already feel like I know more than I used too. And now I always have around 4lbs of unsalted butter in the house, so making frosting isn’t usually a problem, as long as I’m not feeling lazy! A glaze would be much faster to whip up! Thanks! Naked cupcakes are the best sometimes. 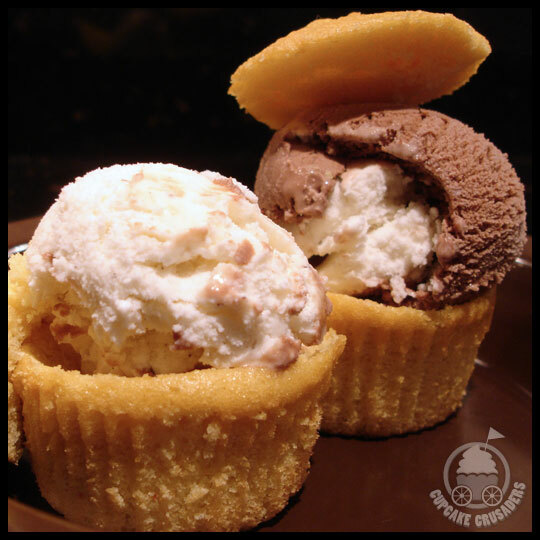 I love the layered shortcake and am so trying the ice cream cupcake bowl. YUM! Great idea.